Stardate: 48315.6 While in pursuit of a Maquis ship in a region of space known as the Badlands, Captain Kathryn Janeway and her crew aboard Voyager and the Maquis ship are transported 70,000 light years from home into the uncharted region of the galaxy known as the Delta Quadrant. Stardate: 48351.6 While in pursuit of a Maquis ship in a region of space known as the Badlands, Captain Kathryn Janeway and her crew aboard Voyager and the Maquis ship are transported 70,000 light years from home into the uncharted region of the galaxy known as the Delta Quadrant. Stardate: 48439.7 As the Maquis crewmembers begin to integrate themselves into the Starfleet crew, Voyager becomes trapped in a quantum singularity. Stardate: Unknown After being hit by the shockwave of a devastating planet-wide explosion, Voyager investigates. 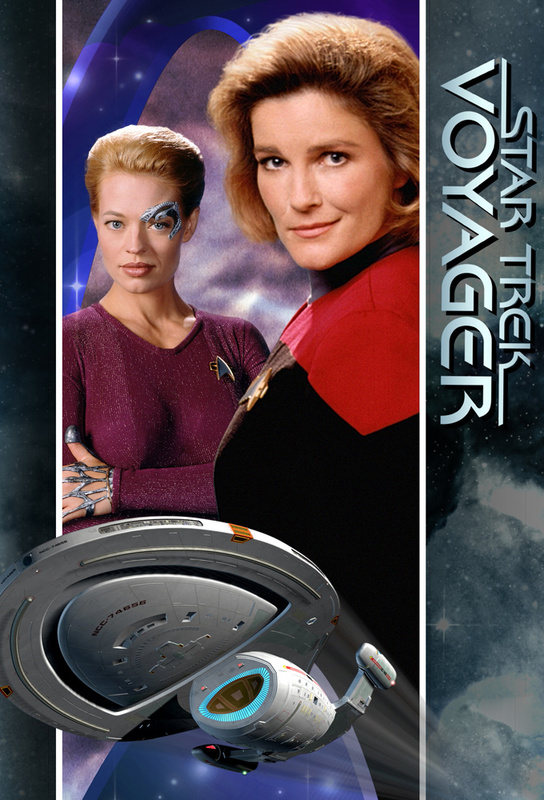 While on the surface, Janeway and Paris are accidentally shifted one day into the past. Stardate: 48532.4 During an away mission in the search for dilithium crystals, Neelix is attacked and his lungs are surgically removed by a disease-ridden race of aliens known as the Vidiians. His only hope for survival is if the crew of Voyager can get them back. Stardate: 48546.2 In the search for omicron particles to boost the ships energy supplies, Voyager inadvertently injures a space-faring life form. Stardate: Unknown Tom Paris is accused of a murder he claims he did not commit. His sentence is to re-live the last few moments of his victims life every 14 hours through a memory transplant. Stardate: 48642.5 Harry Kim discovers advanced technology when a race of aliens known as the Sikarans offer shore leave to the crew of Voyager. This would send Voyager 40,000 light years closer to home, however, the Sikarans Canon of Laws forbids them from sharing their technology with anyone. Stardate: 48658.2 When stolen Federation technology is found on a severely damaged Kazon Nistrim ship, Seska becomes the prime suspect. The evidence is further re-enforced when questions arise over her true heritage. Stardate: 48693.2 Harry Kim disappears from the holodeck during his holo-novel, Beowulf. According to the characters, he died at the hands of a mystical beast known as Grendel. When Chakotay and Tuvok also dissapear, the Doctor is transferred to the holodeck to investigate. Stardate: 48734.2 After Chakotay and Tuvok are injured in a shuttle accident, a non-corporeal life form begins to wreak havoc on Voyager by infiltrating the minds of the crew and altering the ships systems one by one. Stardate: 48784.2 The Vidiians capture Paris, Torres and Durst while on an away mission. Torres is taken to a lab and split into two people: one human, and one Klingon. Stardate: 48832.1 The man, who designed the weapon that destroyed all life on the moon of his home world, including that of his family, diagnoses Neelix with a fatal illness. Stardate: 48846.5 In order to bring some rebellious Maquis crewmembers into line, Tuvok gives them a Starfleet Academy crash course.